Why Indosoft Contact Center Software Suite? It is not an exaggeration to say that Q-Suite is one of the most complete call center software for deployment with Asterisk telephony. It is a product of many years of research and development and provides for a fully customizable call center solution. It offers a scalable, high availability (HA) solution with multi-tenant capability that can be deployed in Cloud for voice solutions. Above all, it scales to multiple Asterisk servers to fulfill telephony requirements of large call centers. Q-Suite with its multi-channel ACD is deployed around the world for setting up inbound and outbound contact centers both on-premise and in the Cloud. What does Q-Suite offer for a contact center? Q-suite is the Indosoft's call center solution for Asterisk telephony platform. The call center software offers a multi-channel ACD for handling voice, email, and other media as well as the necessary tools to setup and manage your contact center. It is multi-tenant, offering both unified communications (UC) and feature-rich IP PBX functionality capable of supporting remote distributed architecture. The "Visual Call Flow" builder within Q-Suite ACD can be used to create complex call routing while offering Skills-based-routing and Queue prioritization for call distribution. 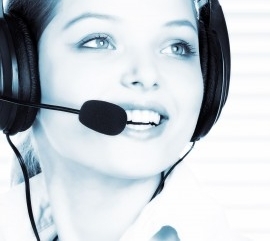 You can also build sophisticated Interactive Voice Response (IVR) through this tool. The inbuilt "Script-builder" creates custom scripts for agent customer interactions, embed web applications and integrate to back-end applications. Q-Suite also includes a powerful Dialer, a host of features, and real-time and historical reporting for data analytics. If you are one of those organizations who have invested in building a native client application for the agents to handle incoming or outgoing calls and want to continue using the application, we have a comprehensive set of API interface to the call center software suite. Whether it is an inbound call center business application or an outbound call center special application for a vertical market, the API can accommodate and provide all the necessary interface for the agent to be logged in and receive calls based on "skills based routing" or "predictive dialing". The incoming calls to a call center are the main point of contact with potential and existing customers for most organizations. A good ACD with efficient skills based call routing offers round-the-clock access and facilitate fast call resolution. This is vital to the success of the inbound call center whether it be for sales, customer service or support. Indosoft call center suite with its flexible next generation ACD will help you setup queue routing based on skills, DNID/ANI/DID, time of the day scheduling and other business rules. This will reduce cost per call, increase agent productivity and overall efficiency thereby offering higher quality of service. Advanced dialer, good custom script builder, customizable wrap-codes, effective list management and good reporting are essential for any outbound call center. Indosoft call center suite Q-suite, comes with an efficient compliant predictive dialer and a compact expandable CRM to provide the necessary tool for setting up an effective outbound contact center. You can setup multi-page scripting with branching capability as well as access any other web enabled CRM like "Salesforce.com" or "SugarCRM". The call center technology platform has ready made features like "call recording", "snoop" and "whisper" for quality improvement.